Earlier this week, Robert Pattinson—the man who brought both Edward Cullen and Cedric Diggory to life on the big screen—was spotted hanging out at various Toronto eateries, including Luna café in Little Portugal (near Dundas and Dovercourt), where he ate with girlfriend FKA Twigs, and Bay Street lunch spot IQ Food Co., where he sat in a window seat sipping juice. Pattinson’s new film, a crime drama called Idol’s Eye co-starring Robert de Niro, was scheduled to start shooting in Toronto later this month; however, news broke Monday that the film had been cancelled due to lack of funding. 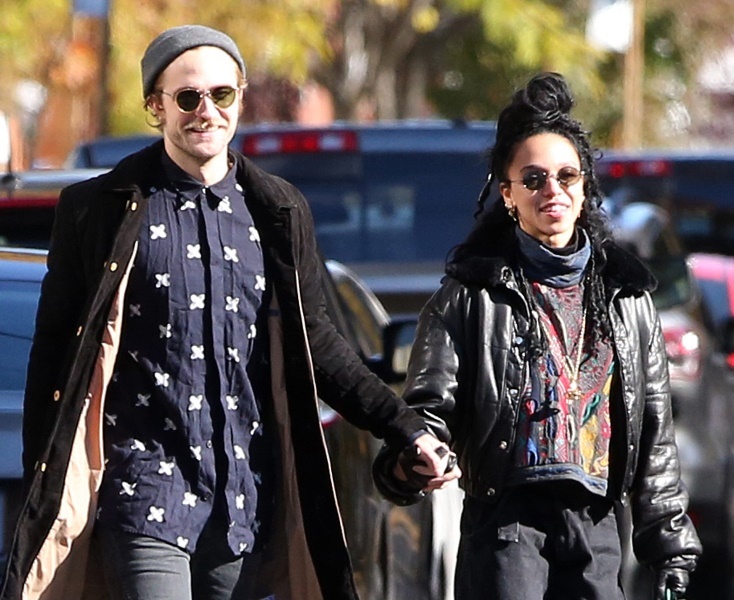 Despite the bad news, Pattinson looked loose and easy (and very mustachioed—here’s hoping that’s a Movember thing) as he strolled around town holding hands and eating cookies with Twigs, who seemed remarkably comfortable for someone who is the object of an entire fandom’s worth of misdirected tween rage.